Diplomatic Mission Peace And Prosperity, time after time, has organized visits with foreign investors and donators in Kosovo, with the intent to support financially different projects of communes and business of this new state which is under development. Foreigner delegations are being welcome by the Prime Minister Hashim Thaçi and by ministers and high directors of his Government. The representatives of these delegations have had meetings also with some commune’s majors and with directors and businessman of the Economic Room of Kosovo by finalizing that way a useful collaboration for the financing of many projects. Actually, the major of the commune of Gjilan, Qemal Mustafa, with his staff has receipted in a job meeting a delegation of politicians and businessman from Israel. 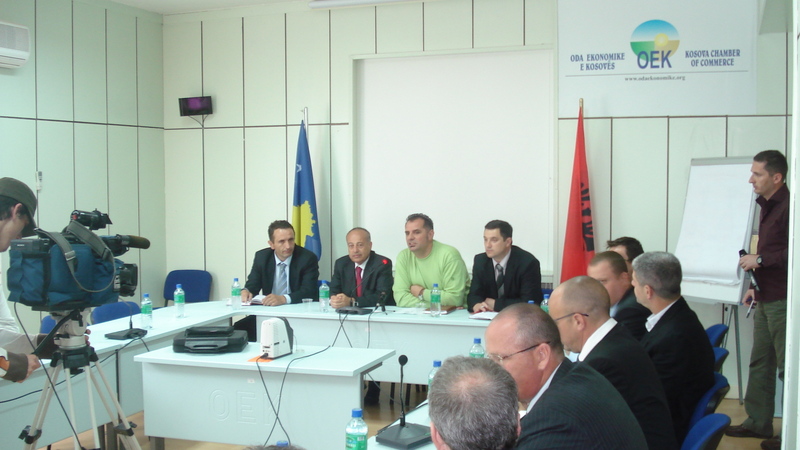 In the same day, Qemal Mustafa together with the communal officials for projects, Fadil Osmani and Habib Mahmuti, in Prishtina, have met the delegation from Israeli and they have presented to them the projects with which the commune of Gjilan compete in the conference of donations for Kosovo, especially of that of the river “Mirusha”, demonstrated by the author himself of that project, Ilir Gjinoli. The major of commune has thanked the delegation from Israel for their shown encourage seeing in reality the opportunities of the economic development of Kosovo after it is set free. In meanwhile, Dr. Haim Reitan, diplomat, Honorary Chairman of Diplomatic Mission Peace And Prosperity, the leader of group for Kosovo, by thanking for the reception and the collaboration, has said: “We are here to identify the fields where we can collaborate with you and to exchange our experiences. We are convinced for a brilliant future for Kosovo, so that we will help you with all our opportunities.” He has shown his optimism. 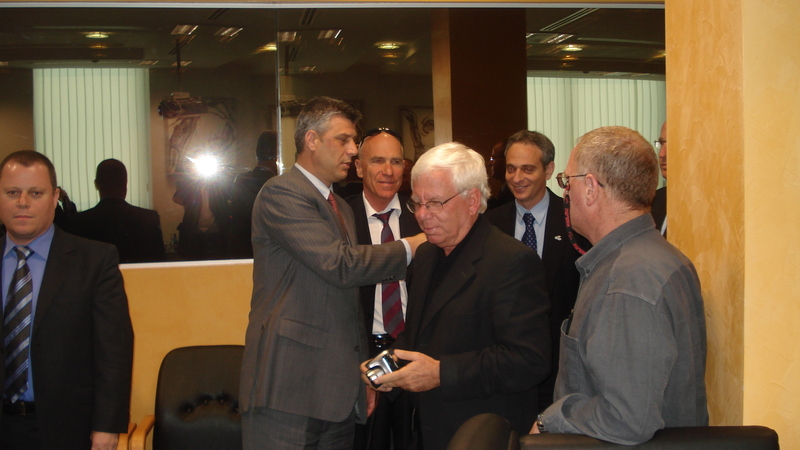 The delegation from Israel has been accompanied by some representative from the Economic Room of Kosovo, the major of the commune of Dardana and the majors of some other communes, also with some of their collaborators known as businessman from Kosovo, from the enterprise of electrical cables production “CF Progresi”, “Kompleksi Kamberi”, etc.